Give before 30 April and your donation will be doubled by the UK government. Give before 30 April and your donation will be doubled by the UK government! In November 2018, I'm joining a peleton of riders on a 5 day, 500Km cycle across Kenya's central highlands (with 6000m of climbs), to raise money for Child.org a charity set up by a friend of mine. Ah go on dig deep! This fundraiser supports Team Mum. In Kenya, one in 26 babies don't live to see their first birthday. Together, Team Mum will arm new mums with the health information and support they need to keep themselves, and their babies safe. To do this, we need you to donate so we can launch pregnancy support groups in rural Kenya. 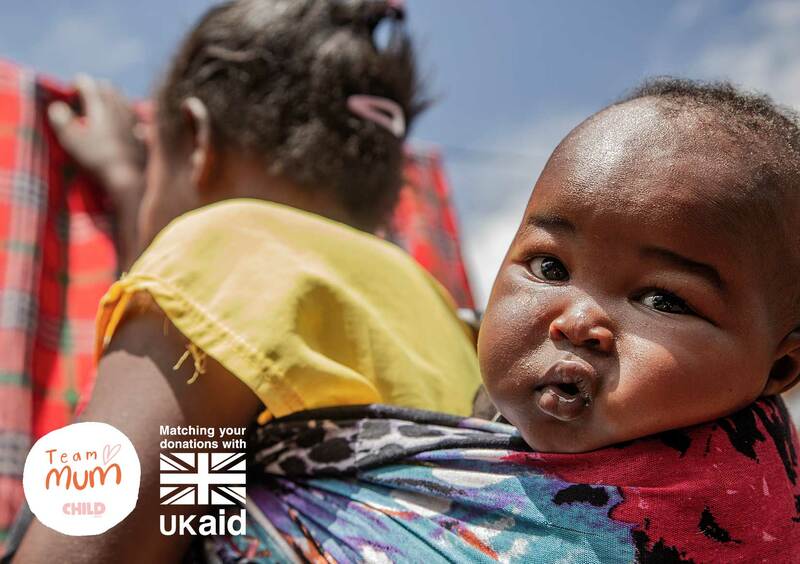 Doubling donations with UK Aid Match. If you give before 30 April, your donation will be doubled by the UK government, making each £1 worth £2. The match funding from the government will be spent right away, creating brand new pregnancy support groups in rural Kenya. Public donations will be spent on this project and on taking Child.org’s Team Mum work forward, designing, funding and delivering more solutions like this for mums in Kenya and Sierra Leone. Find out how much money we’ve raised so far? See where your donations are going? Visit the main fundraising page. Good to see you doing it in Gazza's fake breasts, not sure about what you've stuck down your shorts mind. Good luck! Show us how it’s done! I am fundraising as part of . There are 0 of us in the team all working towards improving the lives of the children Child.org help. Whoever they are, wherever they're born, every child deserves an equal opportunity. Child.org are here to make that happen. Child.org work in the most difficult places in the world to grow up. We remove whatever barriers stop children from getting the most out of life. Sometimes we give them a nutritious meal so they can attend and get the most out of school. Sometimes we provide access to clean water or health services. Sometimes we’ll deliver all, or a combination of those things. We believe in collecting intelligence and creating solutions that can be tailored to a child’s specific situation. We do what works.